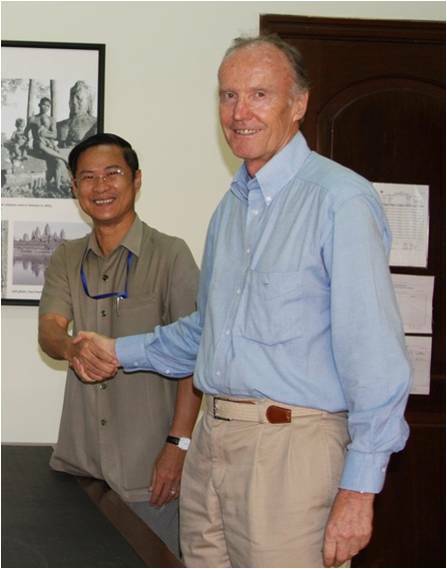 Co-Investigating Judge Siegfried Blunk (right) of Germany has resigned from the Extraordinary Chambers in the Courts of Cambodia. His articulated reason: government interference with the investigation of new cases. The resignation comes a week after Human Rights Watch called for the resignation of Blunk and his Cambodian counterpart, You Bunleng (also right). The group argued that the two have "failed to conduct genuine, impartial and effective investigations," and as a result have "egregiously violated" their legal and judicial duties such that Cambodians would have "no hope" of justice while they remained at the tribunal. The Statute of the ECCC as negotiated by the United Nations and the Government of Cambodia grants a majority of key posts to Cambodian nationals, but mandates that many major decisions be made by a supermajority. This requires the assent of at least one international judge. It had long been argued that given the complex structure of the ECCC, the tribunal would only be as strong as its weakest international judge. The current controversy suggested that this dubious distinction belonged to Judge Blunk. We've blogged before about the controversy at the ECCC over Cases 003 and 004. Case 003 concerns air force commander, Sou Met, and navy commander, Meas Muth (see interview here). Case 004 involves three Khmer Rouge regional officials—Aom An, Yim Tith, and Im Chem (below left)—accused of committing genocide and crimes against humanity in their areas of command. The then-international Co-Prosecutor, Robert Petit (Canada), submitted the five suspects’ cases to the co-investigating judges on September 7, 2009, over the objection of his Cambodian counterpart, Chea Leang (see our discussion here and here). Although all three of the Cambodian judges on the Pre-Trial Chamber sided with Leang, the supermajority formula ensured that the investigation proceeded, although this decision came after the resignation of Petit (see our discussion here). At issue now is whether the Co-Investigating judges adequately investigated those cases, given that they apparently did not interview the suspects or other key witnesses, or conduct any crime site investigations. 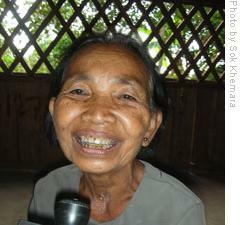 Under the circumstances, many anticipated that the Closing Orders would recommend against prosecution, on the theory that the individuals subject to investigation were not the "most responsible" for crimes perpetrated during the Khmer Rouge era, a limitation of the ECCC's personal jurisdiction. Following the formal close of the investigations on April 29, 2011, the bulk of the U.N. investigating staff quit in protest, on the ground that the investigation represented a failure of justice. Elements in the Cambodian government—including Prime Minister Hun Sen; Khieu Kanharith, Cambodia's information minister; and Hor Namhong, Cambodia's Foreign Minister—openly expressed resistance to trials beyond the four accused regime leaders already in custody. Although elements of civil society have been very vocal with respect to this growing scandal, the United Nations has been publicly, and many believe privately, silent. The reserve Co-investigating Judge, Laurent Kasper-Ansermet (Switzerland) will replace Blunk. It remains to be seen whether the ECCC can put this scandal behind it and move forward expeditiously with the remaining trials and appeals. In other news, the ECCC will be conducting phased trials in Case 002 focused on particular alleged international crimes in order to expedite the proceedings. (The severance order is available here). The first trial will consider crimes against humanity charges involving the forced movement of the population in the early days of the Khmer Rouge regime. Other crimes against humanity and genocide charges involving detention centers and religious and other persecution will be considered in a subsequent proceeding. The Trial Chamber has justified its approach on the ground that it is following the chronological order of the Closing Order issued by the Co-Investigating Judges. The Co-Prosecutors have accepted the need for severance in principle, but have argued that the parties should be consulted in determining which crimes should take priority, especially given the advanced age of the defendants. In particular, the Co-Prosecutors indicated that delaying consideration of crimes committed at security centers and execution sites would mask the "massive scale of the crimes and the extreme seriousness of the alleged criminal behaviour of the accused." Counsel for the civil parties have also objected, arguing that this prioritization of charges will deny many accredited civil parties the right to seek reparations for torture and acts of discrimination. We still await an outcome of the tribunal's fitness hearings. It is expected, however, that Ieng Thirith—wife of co-defendant Ieng Sary—will be declared unfit to stand trial. (Cross posted at the Cambodia Tribunal Monitor).